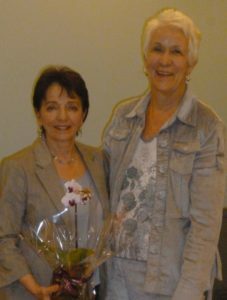 Joan Andrews, The Helen Randal Library Manager at the CRNBC, was recently thanked for her wonderful support for the work of the”BC History of Nursing Society” over the years. In thanking her, Kathy Murphy stated some interesting information about the library: It is Canada’s largest full service specialty nursing practice library. It has books, e-books, e-journals, audiovisual resources, online resources, and helpful librarians. There are over 16,000 uses with 68% from the lower mainland and 32% from all over BC who receive requested books mailed for free.